Red Lantern is sporting a new menu of Asian fusion bites, with creative offerings like the American Wagyu rib-eye with tonkatsu sauce. 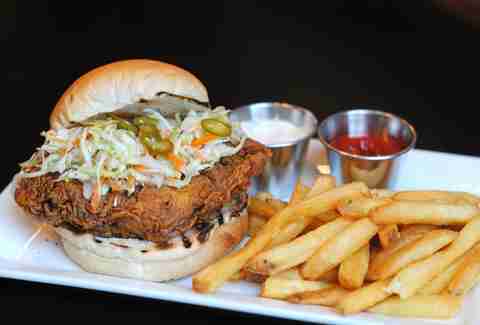 But we’re talking about sandwiches here, and their bao are completely crave-worthy. 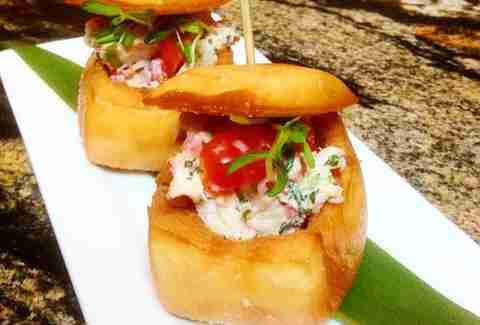 Be extra good to yourself and go for the lobster salad version: two buttery mantou "coffin" buns stuffed with Cape Cod lobster salad and pea shoots. Ever since The Merchant’s March debut, the DX/FiDi brasserie has become a cubicle-dweller magnet for midday breaks and post-work decompressions. 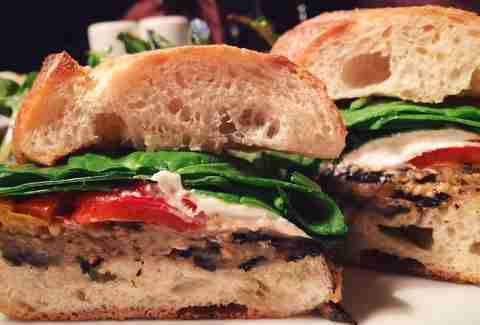 Show off your sophistication and order the grilled eggplant sandwich. This substantial hand-held feast will even satisfy die-hard carnivores with its slabs of eggplant crowned with goat cheese, spinach, and pepper salsa on a chewy baguette. Burlington’s latest hot spot, The Bancroft, serves farm-to-table fare and packs some serious protein. That’s why you’re ordering the Steak + Blue at lunch. 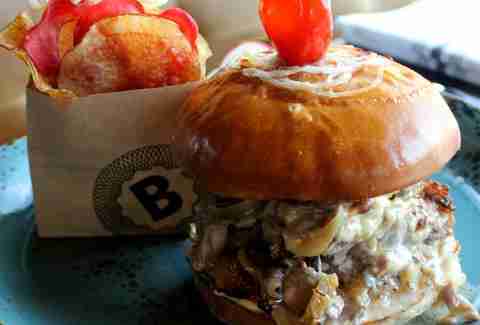 It’s a "once you pick it up, can’t put it down", towering beauty with the aforementioned delicious steak draped with oozing blue cheese and caramelized onions on toasted brioche. 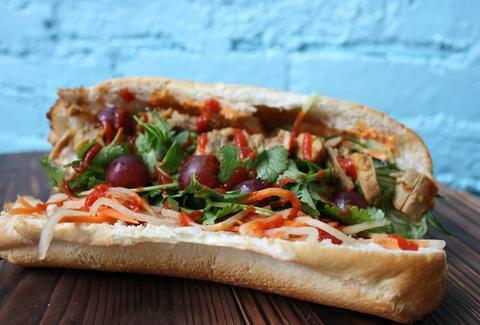 SA PA Modern Vietnamese, another new kid on the block Downtown, brings you flavor-packed banh mi on toasted baguettes that come fully loaded with pickled carrots and daikon, mushroom & walnut pate spread, cucumber, cilantro, and house-made miso or spicy mayo. Now you just pick your protein: slow-braised beef, Saigon BBQ pulled pork, ginger lime chicken, or marinated tofu. Choose wisely.